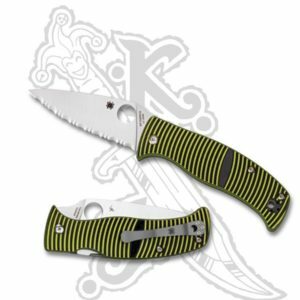 This remarkable Sprint Run edition of the popular Delica 4 Lightweight showcases a three-layer laminate blade with a V-Toku2 tool steel core. 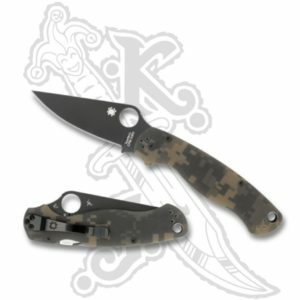 Renowned for its toughness at high hardness, V-Toku2 is a Japanese steel made with Swedish iron ore enriched with tungsten, vanadium, and chromium. 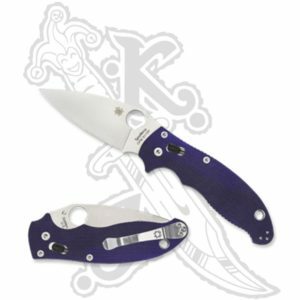 To bolster its strength and provide greater corrosion resistance, the V-Toku2 core of this blade is flanked by outer layers of SUS410 stainless steel. 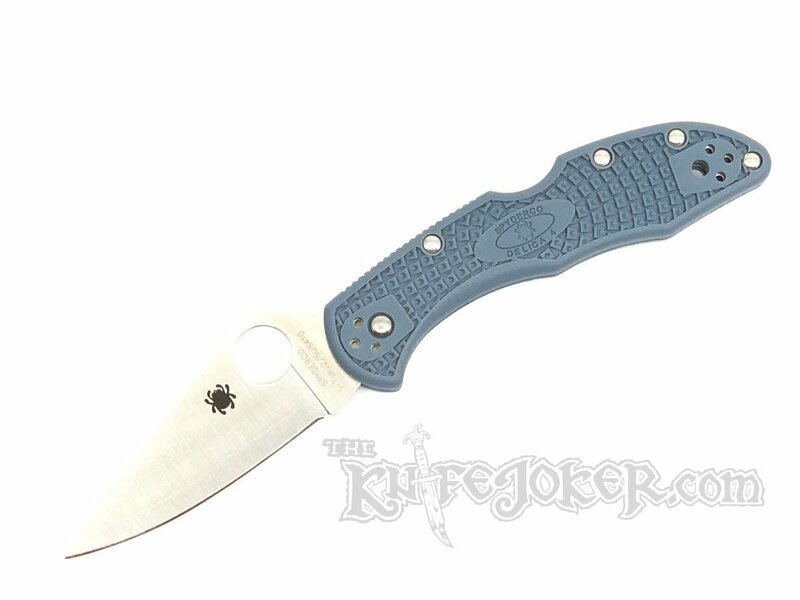 This laminated construction is evident when the full-flat-ground blade is examined closely, as the transition between the core and outer layers is clearly visible just above the blade’s cutting edge. 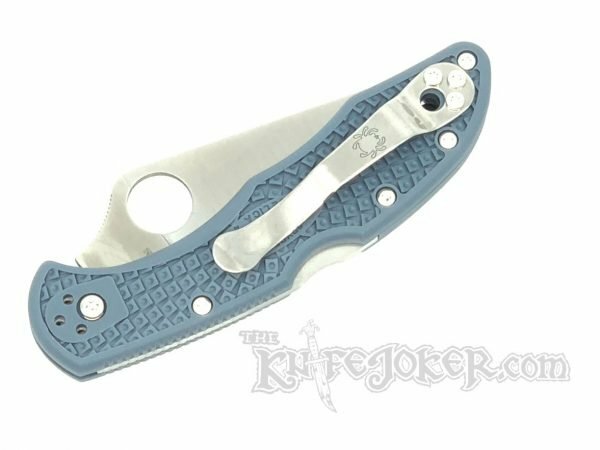 Nevertheless, because V-Toku2 is a true tool steel, its exposed surfaces are susceptible to corrosion and must be maintained properly. 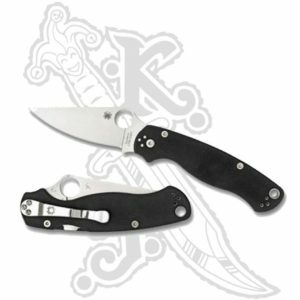 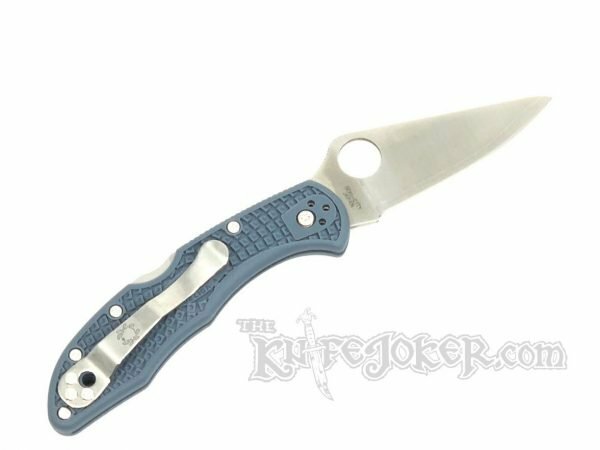 All other features of this amazing knife are consistent with the standard version of the Delica 4 Lightweight, including skeletonized stainless steel handle liners, a stout back lock mechanism, and a four-position pocket clip. 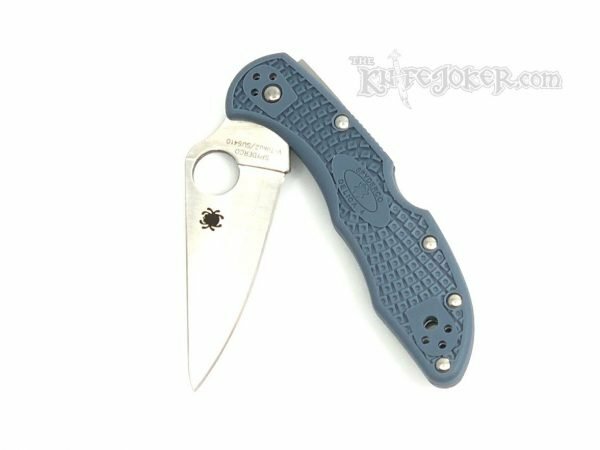 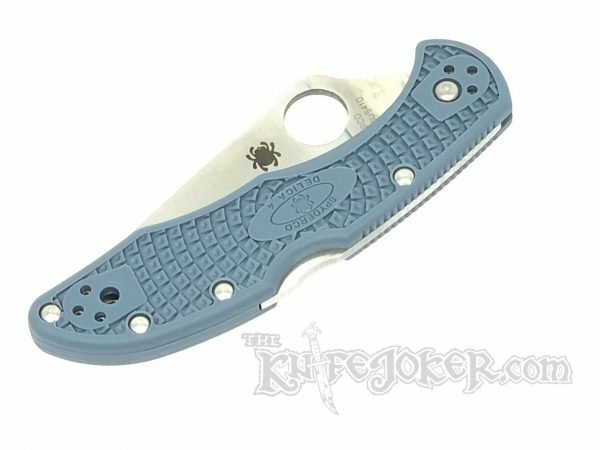 Its fiberglass-reinforced-nylon (FRN) handle is also injection molded in the signature blue-gray color that identifies Spyderco’s elite V-Toku2 Sprint-Run series of knives.